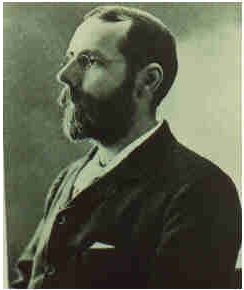 Born in Preston, Lancashire, 1857, James Hebblethwaite migrated to Tasmania (formerly Van Diemen's Land) in 1890 for health reasons. Tasmania is Australia's smallest and least populous state. Here He taught at schools in Hobart and Latrobe. At his death in 1921 he was the incumbent of Woodbridge parish, D’Entrecasteaux Channel. He established a wide reputation for his writing and did more in his period for Tasmanian culture, history and poetry than has been generally realised. A Book of Verses was published in 1911 and his work also appeared in The Oxford Book of Australasian Verse, 1918 selected by Walter Murdoch (1874–1970). James Hebblethwaite's poem The Wanderers is reproduced below. Click on the Book link opposite to see more poems and additional biographical details. Some of this information has been supplied by one of James' descendants, Chris Hebblethwaite, in Australia. Chris is also looking for any details about his other Lancashire ancestors. See his message on my Family Search page. Pull up the stakes and go! This poem has been set to music by Us Not Them and appears on their CD One Man's Weeds - Another Man's Flowers recorded live at Wongawilli Hall. 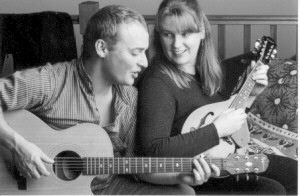 Us Not Them is an acoustic duo from New South Wales in Australia made up of Chloë Roweth on lead vocals and mandolin and Jason Roweth on guitar, bass and vocals.